Hogarth’s Pest Control specializes in Mud Dauber removal. 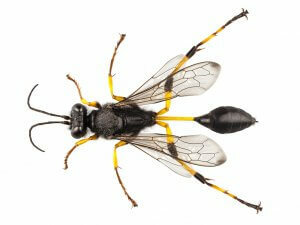 Mud Daubers are solitary wasps that construct small nests of mud in or around structures. They build nests alone, without the assistance of a colony, and sting only to hunt down prey. Have you ever noticed mud tubes on your house, in your garage, or in your barn? If so, it’s likely that you have Mud Daubers nesting in these areas. These wasps are long and narrow with a thread-like waist. They can be black or purple in color and have additional yellow markings. Mud Daubers are not aggressive and have a very passive attitude. While they are capable of stinging humans or animals, they rarely do, and do not defend their nest like Yellow Jackets or Bald-Faced Hornets. The main issue with Mud Daubers is the mess from their nests. When knocking their nests down, chunks of mud will fall which can be a hassle to clean up and remove. They are considered to be a beneficial insect since they eat other insects, such as spiders. 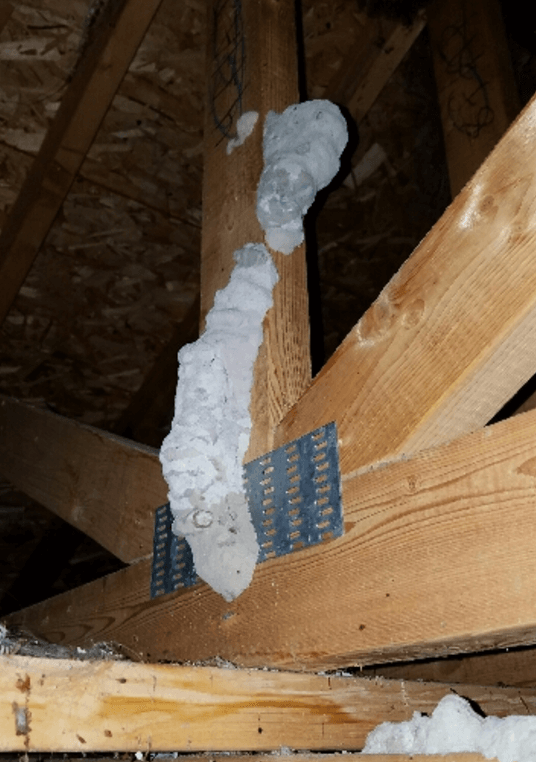 We notice these wasps can tend to infest attics and over time their nests will fall into the insulation, creating a mess inside of the attic. This happens due to a defective ridge vent, which we recommend having repaired with Ridge-Guard and screening gable end vents. We have the ability to complete these jobs with ease. 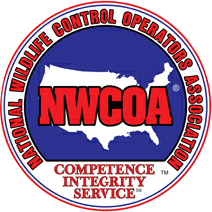 If you are experiencing an issue with Mud Daubers, do not hesitate to give us a call today!